There is a lot of reason to change passwords and in most business settings passwords are requested to be changed every 90 days. This is usually for the end users and rarely for the system to system accounts. A recent vulnerability creates the possibility that any account that accesses a system on the internet (specifically using HTTPS w/ OpenSSL, but lets not complicate the clarion call here) is exposed and known by someone other than the owner. By that very condition the password should be changed, and now. Begin the methodical (perimeter first .. working your way in through layers) and careful task of updating all of the certificates, credentials, and end-user accounts. Also consider end-users too. Set all users that have accounts accessing your services, to be forced to reset. This is all the result of the Heartbleed.com disclosure, but lets not get technical here .. these are good practices, but now with the probability above 'unlikely', it is a timely habit to re-embrace. The concept of analysing large data sets, crossing data sets, and seeking the emergence of new insights and better clarity is a constant pursuit of Big Data. Given the volumn of data being produced by people and computing systems, stored, and ultimately now available for analysis – there are many possible applications that have not been designed. The challenge with any new 'science', is that the concept to application process can not always be a straight line, or a line that ends where you were hoping. The implications for business using this technology, like the use of Information Security, requires an understanding of it's possibilities and weaknesses. False positives and exaggerations were a problem of past information security times, and now the problem seems almost understated. An article from Harvard Business details how the Google Flu Trends project failed 100 out of 108 comparable periods. The article is worth a read, but I wanted to highlight two sections below as they relate to business leadership. “The first sign of trouble emerged in 2009, shortly after GFT launched, when it completely missed the swine flu pandemic… it’s been wrong since August 2011. The Science article further points out that a simplistic forecasting model—a model as basic as one that predicts the temperature by looking at recent-past temperatures—would have forecasted flu better than GFT. So in this analysis the model and the Big Data source was inaccurate. There are many cases where such events occur, and if you have ever followed the financial markets and their predictions – you see if more often wrong than right. In fact, it is a psychological (flaw) habit where we as humans do not zero in on those times that were predicted wrong, but those that were right. This is a risky proposition in anything, but it is important for us in business to focus on the causes of such weakness and not be distracted by false positives or convenient answers. The quality of the data is challenged here for being at fault, and I would challenge that .. The analogy is from information security where false positives and such trends were awful in the beginning and have become much better overtime. The key inputs of data and the analysis within information security is from sources that are commonly uncontrolled and certainly not the most reliable for scientific analysis. We live in a (data) dirty world, where systems are behaving as unique to the person interfacing them. We must continue to develop tolerances in our analysis within big data and the systems we are using to seek benefit from them. This clearly must balance criticism to ensure that the source and results are true, and not an anomaly. 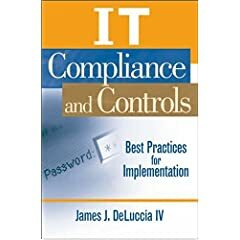 Of course, the counter argument .. could be: if the recommendation is to learn from information security as it has had to live in a dirty data world, should information security instead be focusing on creating “instruments designed to produce valid and reliable data amenable for scientific analysis”? Has this already occurred? At every system component?